It is so different from watching people fight on TV. To smell the sweat and hear so many people yelling and cheering. Maybe I’m over stoked because I’ve never seen any fights in real life. We got the first row of the ringside seat (forth row including VIPs). The view was intense because we were quite close, if you were seated in the last rows of the ringside though, I think it’d be better to just grab a stadium seat up top. But you don’t get to pick. We arrived 20min late and were still seated nice and close, lucky! The free shirts are awesome! And Klook team were great helping out with transportation because we stayed in Rawai, but you should always ask a local driver first to have a knowledge of how much you’ll be charged and see if you can get a better rate. The best fights were from the Thai boxers. Even the kids were amazing to spectate! But weirdly enough, the Thai boxers that fought westerners looked like they all should’ve retired, not in their best physical state. I think we saw 5 fights that were Thai VS another nationality, all of the unfit Thais lost in a round or two out of five, was a weird sight. Prepare for an action-packed evening as you watch authentic Muay Thai matches on the biggest Muay Thai ring in southern Thailand! Get to see male and female Thai boxers battle it out using their feet, elbows and knees in this intense combat sports. Choose from the stadium, ringside or VIP seats to gain a first-hand experience of Thai popular culture and get free Muay Thai shirts when you purchase ringside and VIP seats. 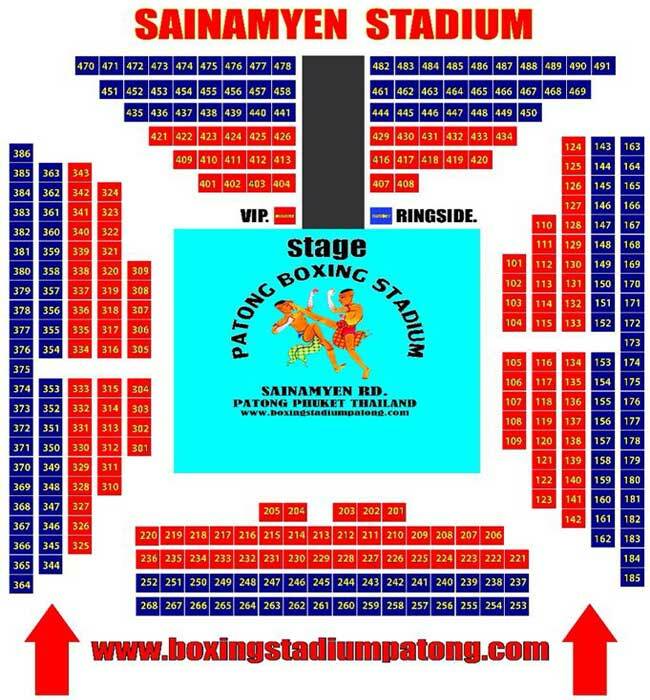 Have a memorable and hassle-free visit to Patong Boxing Stadium with hotel roundtrip transfers offered in all the packages. Great experience ! Take the vio or the ring side seat if you want a good and confortable experience. The match are awesome and the atmosphere is great ! This is for everyone as muyai thai is a really nice sport based on respect from each others. 5 stars ! Great experience ! Take the vio or the ring side seat if you want a good and confortable experience. The match are awesome and the atmosphere is great ! This is for everyone as muyai thai is a really nice sport based on respect from each others. 5 stars ! 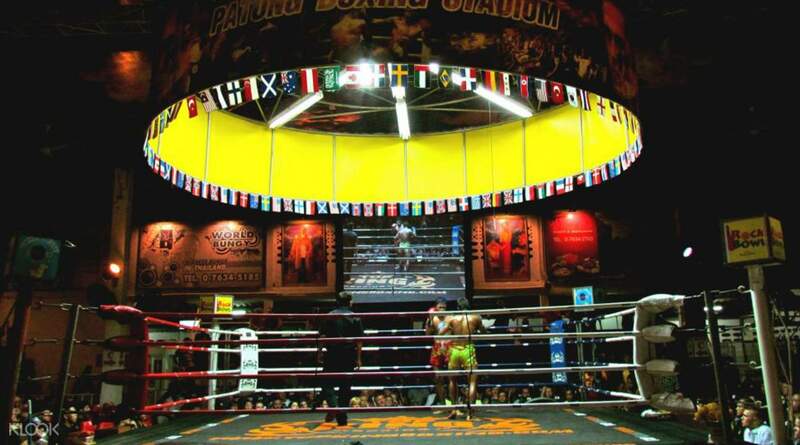 Less expensive than the Bangla Stadium fights, the progression of child to woman to man to heavier weights to provide a glimpse into the culture of muay thai did not disappoint at Patong Stadium. VIP seats put you up close with the expressions of fighters but stadium seats provide the full view without ropes obstructing close up. Exciting streaks punctuate the technical boxing all played to the tune of the catchy snake charmer music. 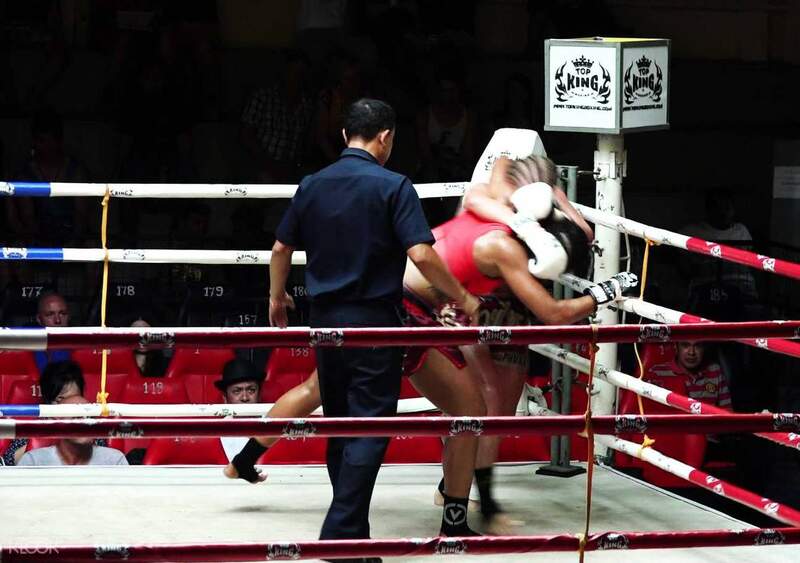 Less expensive than the Bangla Stadium fights, the progression of child to woman to man to heavier weights to provide a glimpse into the culture of muay thai did not disappoint at Patong Stadium. VIP seats put you up close with the expressions of fighters but stadium seats provide the full view without ropes obstructing close up. Exciting streaks punctuate the technical boxing all played to the tune of the catchy snake charmer music. So handy to have a transfer there and back, the fight themselves were very interesting and intense to watch. Probably not an appropriate activity for families as it can end late (11pm for us). Very cool in the stadium and you can purchase drinks and snacks but would eat dinner beforehand! So handy to have a transfer there and back, the fight themselves were very interesting and intense to watch. Probably not an appropriate activity for families as it can end late (11pm for us). Very cool in the stadium and you can purchase drinks and snacks but would eat dinner beforehand! First time watching Muay Thai live. Definitely worth visiting if you never watch live battle before. Last fight was disappointment as knockdown too soon. Booked ringside seat so come with a shirt. Picture as below. First time watching Muay Thai live. Definitely worth visiting if you never watch live battle before. Last fight was disappointment as knockdown too soon. Booked ringside seat so come with a shirt. Picture as below. Very exciting. I bought the VIP seats which are really comfy (approx 2h show). However, IMO, stadium seats will have a better view. Fuss free transport. Very exciting. I bought the VIP seats which are really comfy (approx 2h show). However, IMO, stadium seats will have a better view. Fuss free transport. Awesome experience. You should do that. Made my day. Great view. Drinks are not expensive. Will do again. Awesome experience. You should do that. Made my day. Great view. Drinks are not expensive. Will do again. It was a great experience! Pick up was timely and entrance was smooth. Stadium seat was good. It was a great experience! Pick up was timely and entrance was smooth. Stadium seat was good. Nice atmosphere at the stadium!!!! Must feel it especially you are curious on Thai boxing!! Nice atmosphere at the stadium!!!! Must feel it especially you are curious on Thai boxing!! It is so different from watching people fight on TV. To smell the sweat and hear so many people yelling and cheering. Maybe I’m over stoked because I’ve never seen any fights in real life. We got the first row of the ringside seat (forth row including VIPs). The view was intense because we were quite close, if you were seated in the last rows of the ringside though, I think it’d be better to just grab a stadium seat up top. But you don’t get to pick. We arrived 20min late and were still seated nice and close, lucky! The free shirts are awesome! And Klook team were great helping out with transportation because we stayed in Rawai, but you should always ask a local driver first to have a knowledge of how much you’ll be charged and see if you can get a better rate. The best fights were from the Thai boxers. Even the kids were amazing to spectate! But weirdly enough, the Thai boxers that fought westerners looked like they all should’ve retired, not in their best physical state. I think we saw 5 fights that were Thai VS another nationality, all of the unfit Thais lost in a round or two out of five, was a weird sight. It is so different from watching people fight on TV. To smell the sweat and hear so many people yelling and cheering. Maybe I’m over stoked because I’ve never seen any fights in real life. We got the first row of the ringside seat (forth row including VIPs). The view was intense because we were quite close, if you were seated in the last rows of the ringside though, I think it’d be better to just grab a stadium seat up top. But you don’t get to pick. We arrived 20min late and were still seated nice and close, lucky! The free shirts are awesome! And Klook team were great helping out with transportation because we stayed in Rawai, but you should always ask a local driver first to have a knowledge of how much you’ll be charged and see if you can get a better rate. The best fights were from the Thai boxers. Even the kids were amazing to spectate! 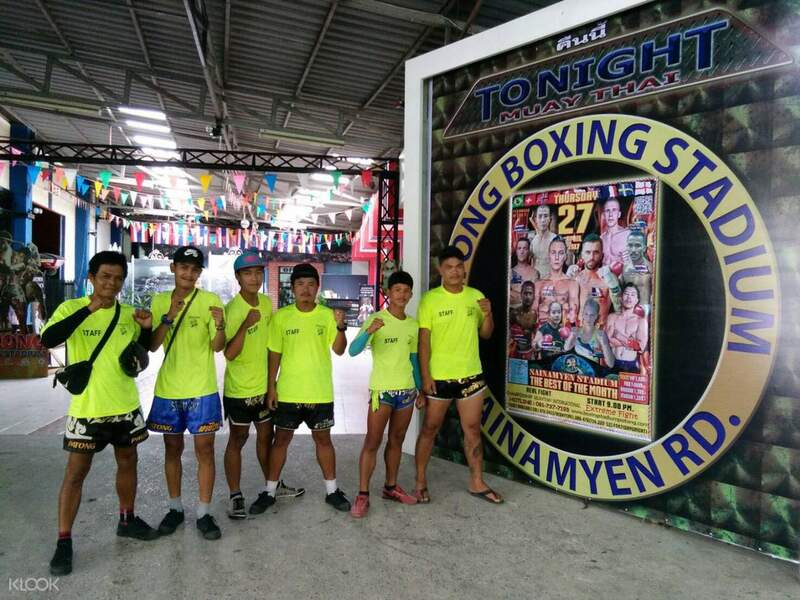 But weirdly enough, the Thai boxers that fought westerners looked like they all should’ve retired, not in their best physical state. I think we saw 5 fights that were Thai VS another nationality, all of the unfit Thais lost in a round or two out of five, was a weird sight.